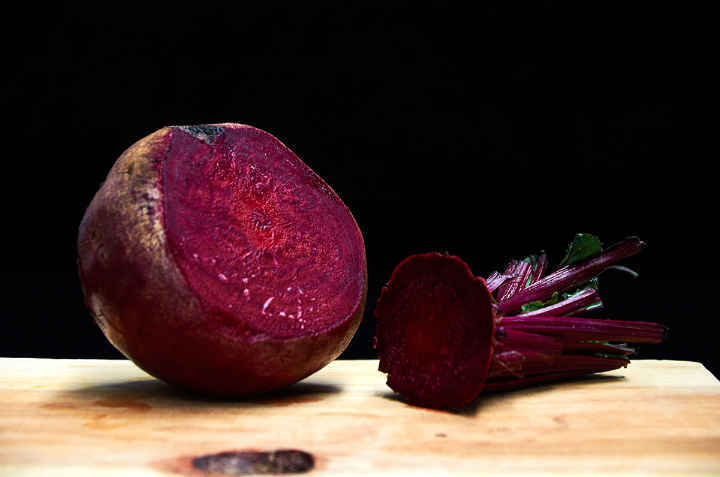 Have an aversion to beets? This is the salad that will make you crave them. Cooked beets lightly dressed with a tart citrus balsamic vinaigrette and topped with crumbled feta cheese and chopped cilantro. It’s a everyday salad disguised as a date-night salad. A beautiful salad in the colors of the Mexican flag, green, white, and red. 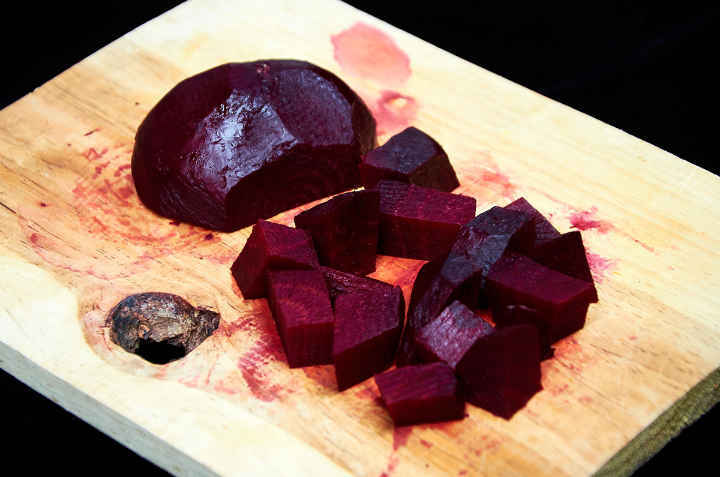 If you have never prepared beets before it is far simpler than you may think. Cut the tops off the beets and discard the tops. 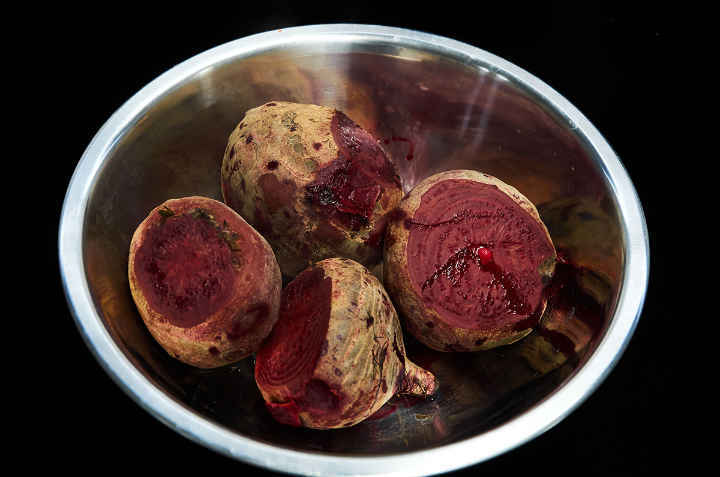 Place the beets in a large pot and cover with 2″ of water. Bring to a boil then reduce to low and cook for 45 minutes. Set the beets aside and allow to cool. 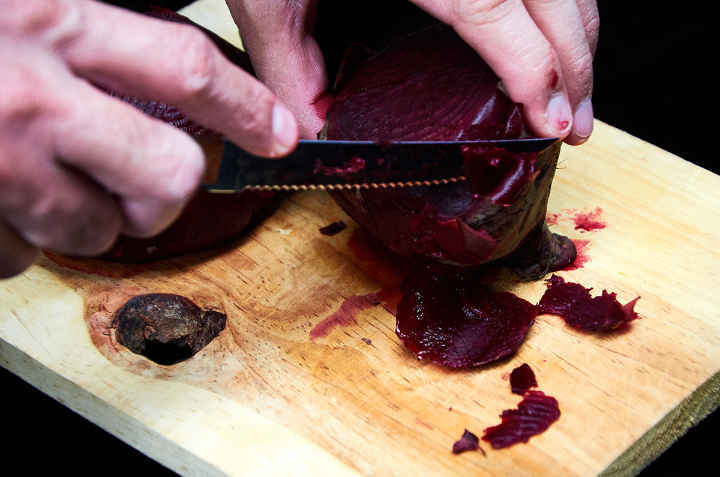 Peel the beets once they are cool to the touch. Cut the beets into 1″ pieces. 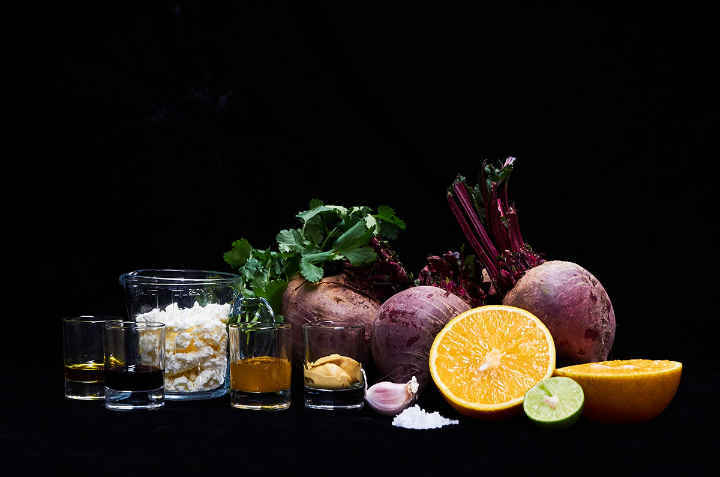 Make the vinaigrette while the beets are cooking. This gives the flavors of the dressing time to blend. 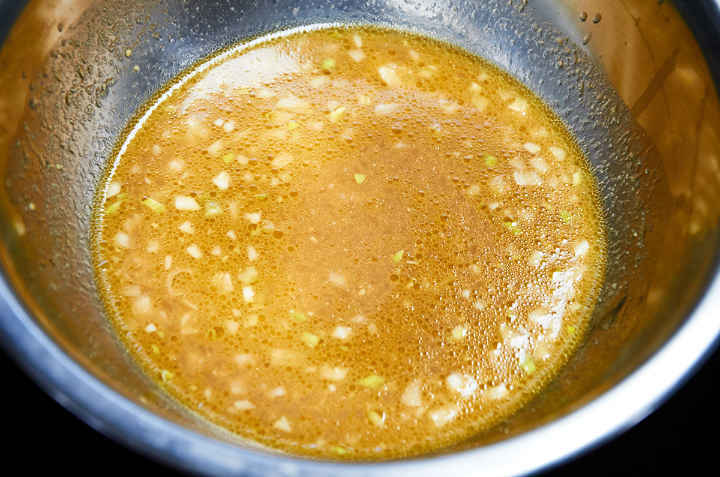 In a small mixing bowl add the orange juice, lime juice, balsamic, vinager, honey, and dijon mustard. Whisk the ingredients briskly while slowly pouring in the olive oil. Whisk vigorously until the ingredients have combined. Add the chopped garlic and salt. Whisk in incorporate. 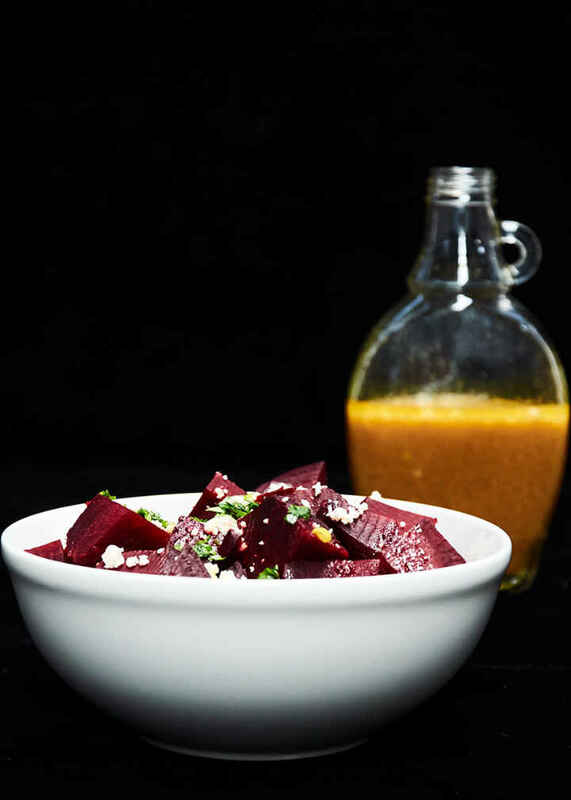 Divide the beets in 4 small salad bowls. Top with crumbled feta cheese and chopped cilantro. Serve at room temperature or lightly chilled. 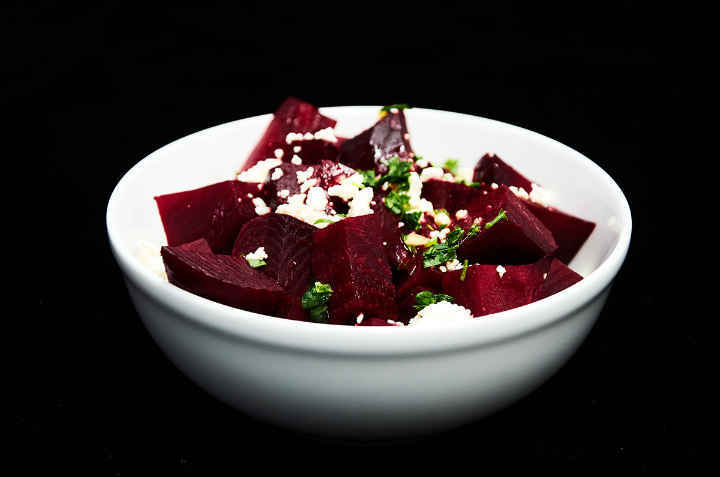 Crave-worthy beet salad with a citrus balsamic vinaigrette topped with crumbled feta cheese and cilantro. Thought you didn't like beets? It will totally change your mind. It's a delicious, easy healthy salad. Cut the tops off the beets. 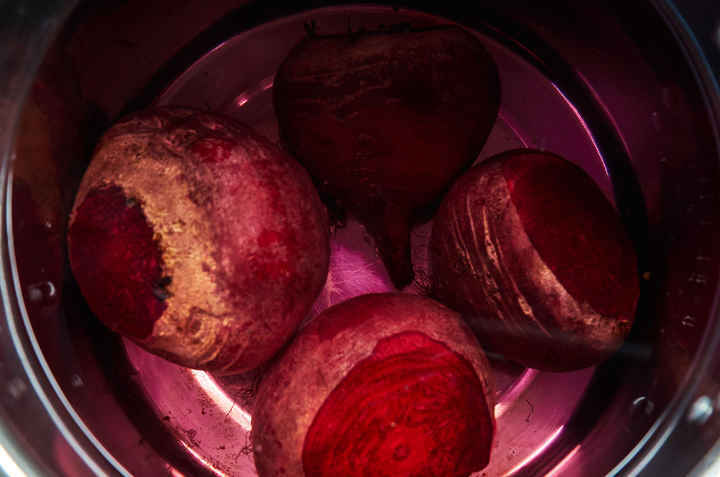 Place the beets in a large pot and cover with 2" of water. Bring to a boil then reduce to low and cook for 45 minutes. Cut the beets into 1" pieces. You can substitute goat cheese or ranchero cheese for the feta cheese. The goat cheese will give the salad a sharper taste and the ranchero cheese will give it a milder taste. Mexico has many great salads. Here are a few of our favorites. They go far beyond the bagged salad mixes. 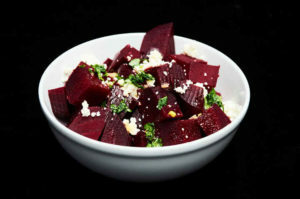 I already love beets, so this looks perfect! Very simple but delicious! Your photos are beautiful and helped follow the recipe. I absolutely loved the dressing I’ll be using that for other salads too, thanks for sharing!